There are several evil corporations. Monsanto aka MonSatan destroys the environment. Nestle human rights abuse. Facebook collection and abuse of personal data. Channel 4 News has done the world a service in its expose of Cambridge Analytica. Cambridge Analytica had access to a facebook app that harvested the personal data of 50 million Facebook users, then is believed to have used that data to influence the US Presidential Election and elect Donald Trump, or at least they have bragged so. Cambridge Analytica is a side show, and the focus has now quite rightly shifted to Facebook. Facebook collects and abuses personal data. That is the Facebook business model, that is how Facebook makes money, a lot of money. Facebook founder Marc Zuckerberg has contempt for your personal privacy. Contrary to what Facebook claim this to be a breach of trust, Facebook makes its money, its businesses model, is built on breach of trust. Every day Facebook breaches the trust of its users. Cambridge Analytica used a Facebook app to harvest Facebook personal data. It did what every Facebook app does. A Facebook app, every game, quiz, survey, has access to not only all your personal data, but also that of your friends. And this is continuous access. Who or what is behind that app that is harvesting your data? Well it is actually quite a long list: name, profile picture, gender, networks, user ID, list of friends, and any other information you made public. All handed over with a single click. Now you may be happy to see all this information handed over to who knows where, to who knows who, to do as they please, but what of your friends? If you have no concern for your own privacy, do you not have an obligation to respect that of your friends, did you ask each and everyone if it was OK that their name be passed to this app? Would you hand all your personal information to a stranger who stops you in the street, name, where you live, where you work, school, university, name of partner, name of dog? Would you hand over a key to your house and say ok to rummage through all your personal effects? Would you grant access to all the clubs and societies you belong to? Would you hand over your work pass? If not then why do you do this on Facebook? Also be aware when commenting external to Facebook, if linked to Facebook, Facebook now has access to what you are doing outside of Facebook. Facebook is not a social network. With Cambridge Analytica there was no data breach at Facebook. This is how Facebook works. You are the product on sale. 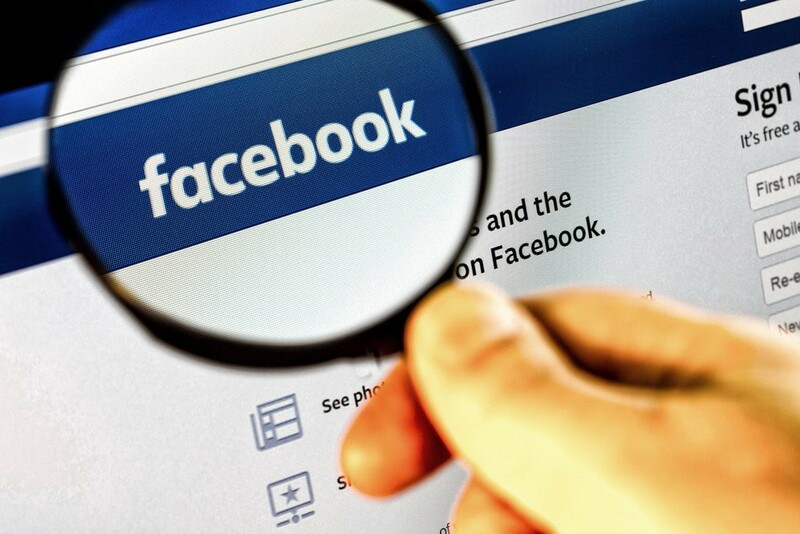 Facebook users mistakenly think the only people they are sharing information with are their friends. This is simply not true. And who are these friends? Often they are people never met, have not a clue who they are. Many users are now deleting their Facebook accounts. The problem is, Facebook will still have all your personal information. Overwrite all your personal information with fake information, then a few days later delete. Never make a live link of the places you visit. Never post videos on Facebook. Post videos on vimeo or youtube and post a link on Facebook. Always drive traffic out of not into Facebook. Do not use Instagram. Instagram belongs to Facebook, claims rights to your pictures, the pictures are not visible on twitter. Post pictures direct to twitter, not via Instagram. Encourage your followers to follow you on twitter not on Instagram. Coffee shops provide a good example. If pictures posted on Instagram act as bait to draw customers into the facebook walled garden, thus complicit in the abuse of their personal data. The pictures can be sold. Pictures not visible on twitter, even though one assumes the whole point of posting pictures is for them to be seen. The coffee shop would get far better traction by posting direct to twitter and posting pictures on Google Maps. Do not use WhatsApp, it too belongs to Facebook. Use Skype instead. Check your Facebook settings. You will be horrified at the number of apps you find. Most you will have no knowledge of. Get rid of every single one. Lobby the government. We need much stricter data protection. We have had the farce of the Information Commissioner announcing to the media, maybe raid Data Analytica the next day, maybe the day after, maybe by the end of the week. As I write, Data Analytica has not been raided. Any incriminating evidence will have long gone. There are boxes going out the door. The maximum fine in the UK is £500,000. This is peanuts to Facebook. There should be unlimited fines, punitive fines. Facebook dodges tax. There should be a social media tax, based on the number of users, exemption for any social media network held in common trust, owned by the members, a social media commons. There should be a tax on advertising revenue. We need to create a social media commons, or failing that, Facebook handed to its users. There does exist alternative social networks, Minds for Facebook, Mastodon for twitter. Neither are great. In addition to collecting and abusing personal data, then enabling it to be harvested by Data Analytica and other data harvesters, Facebook has then provided a platform to enable Data Analytica and others to abuse and manipulate users through acquisition of their own personal data. Data Analytica have bragged they won the election for Trump by manipulation. They have bragged of being willing to bribe corrupt politicians, to set them up with girls from Ukraine. Facebook should disable their news feed. It serves no useful purpose other than to disseminate fake news and propaganda. I and others have been warning of Facebook and Instagram for years. Will the current scandal finally force users to wake up and take notice, not only take notice, but act? Facebook is a toxic virus that has invaded every aspect of our digital lives. People who are careless in their use of Facebook, are like people spreading Aids and HIV. Mozilla has pulled the plug on Facebook. We must pressurise other corporations to do the same. We show our support for Mozilla by downloading and using Firefox. Facebook has to be broken up. It has to be stripped of Instagram and WhatsApp, but what is left has to be broken up. No one uses Facebook because they like Facebook, they use it because their friends are there. We therefore have to have open standards where there are many social networks, with communicate both within and across networks. An example would be telephone networks, anyone on one network can communicate with anyone on any other network. Facebook is not the only tech giant that has to be broken up. Google has to be stripped of Android, YouTube and self-driving cars, leaving Google as a search engine.